This is a small section from an interview J.B. Cheany (World Magazine, etc.) conducted with Alan Jacobs (The Narnian, etc.) over at what certainly appears to be a delightful website called Redeemed Reader. (See full interview here.) I thought these answers very insightful. How would you suggest parents promote reading to their children? For instance, should they insist on a certain standard (whether low or high) or let the kids read pretty much what they want? What’s your definition of “trash”? Or do you have one? I don’t, really. I think C. S. Lewis was right in his Experiment in Criticism to place a lot more emphasis on what the reader brings to the book than on the book in itself. Even a great book can be read badly. I believe if you think about the kind of reader you want to be, the place you want reading to have in your life, then the question of what you read will largely settle itself and then you can think about how you read. 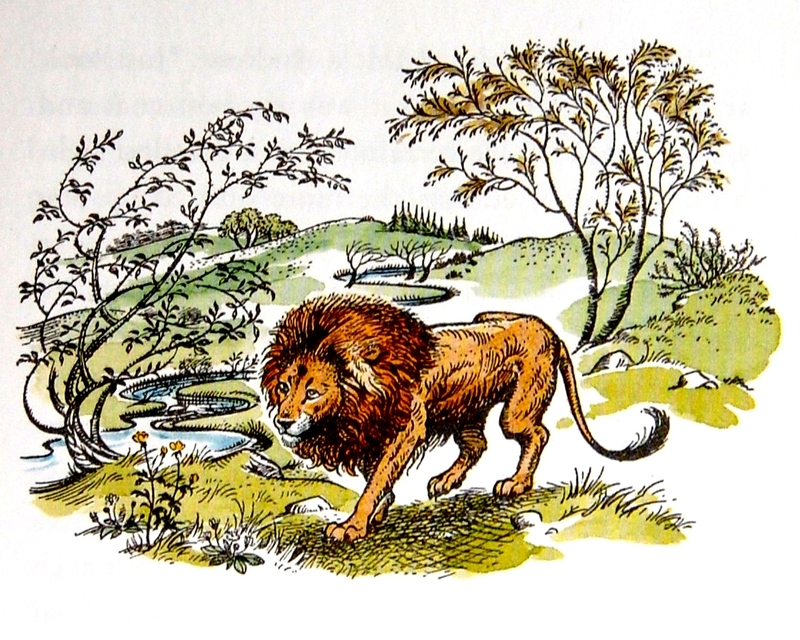 Featured image cut from Pauline Baynes’ original Narnia illustrations. I’d like an insight on the perverseness of trash. Explaining words is a happy challenge for parents. Good post.